As human beings, we always want more and often aim big, we are never satisfied! In fact, bodybuilders are always associated with the word bigger, they always want to get bigger and stronger. However, strength doesn’t come from nowhere, it comes from hard work, dedication and perseverance and, of course, there are ways to increase it or, in another way, to power it up. 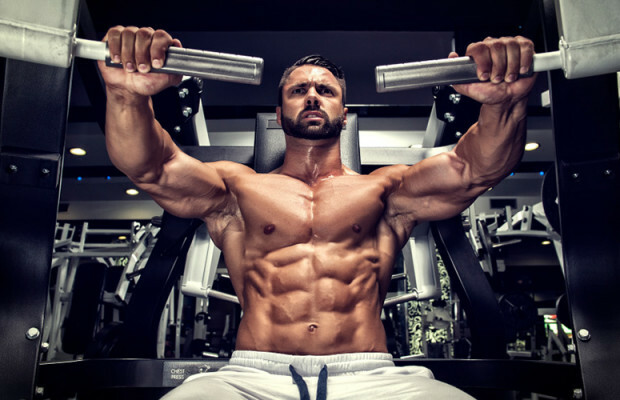 This article will show you how to optimize your workout, increase your strength, in order to enhance your performance and thus get the optimal results. Musclebulking.org has chosen for you several ways to help optimize your workout. Many people don’t care about how many seconds or minutes they should rest between sets. However, this fact is one of the most important and significant factors to optimize your workout with its ability to increase hormonal level growth and of course muscle growth. The best resting time between sets in order to instantly optimize your workout vary between 30 to 60 seconds, which is known by 1:1 work-rest ratio (spending the same amount of resting time at the time performing the previous set). Try to perform some explosive exercises such as kettlebell swings, box jumps, dumbbell renegade row and hang cleans because, actually, when you add power into your workout will improve the performance of the other lifts but also it will add a completely new element. These exercises will make you move rapidly a massive amount of weight and, thus, gives you an accomplished workout satisfaction by controlling and developing strength and explosive power into your muscle fibers. In brief, to optimize your workout use, speed, form and technique in your workout moves. In order to power up your workout, more reps to your sets could be the key. Why? This is simple, because if you want to be good at something and to improve your performance you have to practice often. If you’re used to go heavy and perform 4 to 6 reps per sets, try to add some sets of more than 10 sets (try to make it to 20 if you can) so that you can put a proper amount of stress on your legs without compromising too much your hips or knees. Compound exercises are the optimal workouts to use this technique with their ability to train more than one muscle group such as bench press, shoulder press, squat etc. Increasing the number of reps will instantly optimize your workout because the high rep range will not only shock new muscle growth into gear, but will also stimulate key hormone surges for a better anabolic reaction and a fired-up metabolism. When you’re training and if you aim to do 4 or 5 sets of 10 reps each try to finish your sets even if you have to pause between reps to achieve your goal. Just finish it. Of course you can’t do this in every workout, but this would be very helpful in exercises where you find difficulties to perform such as squat and pull-ups. Actually, this will shock your metabolism into overdrive and jack up your muscle gains and also burn some fat on its way to instantly power up your workout. Well, when you read sticking the basics you could think about bodybuilding basics. If it’s the case you’re wrong. Basics are traditional workouts, real world movements. However, these days’ gyms make it easy on practitioners, they are equipped with new machines that replace basic workouts such as bench press, leg press, shoulder press where you don’t need much power to lift heavy weights. On the other side, traditional exercises are harder to perform, more controllable and where you need more focus and also more power than pre-cited ones. In brief, basics will not only shore up your weaknesses, but also, they will instantly optimize your workout and give your overall physique a stronger foundation. It happens to you, sometimes when you got tired and you still have in your program to perform some extra exercises such as dips, pull-ups, pushups, calve training etc.… you just leave after you create some “stupid” excuses. Well guys! Those exercises could help you to instantly power up your workout. How? By performing them between sets of your regular workouts with their ability to increase your metabolism and this is how you’ll finish your program in the same amount of your regular training time without creating some excuses at the end of your workout session to not finish your program. Compound sets, actually, force a significant amount of blood into the muscle and increase anabolic hormone levels that cause a huge boost in gains and thus optimize your workout. Also, driving your muscle into a level beyond its usual one of failure will put a little shock and wake up hard to stimulate areas. Compound sets are, for example, a combination between workouts such as combining dumbbell upright rows with clean and presses, box jump with high rep squats and wide-grip pull-ups with heavy bent-over barbell rows. Next articlePre-workout meal for your optimal workout!